I think it’s crappy when so called fantasy experts dole out a bunch of advice, but don’t show their readers how they actually drafted. It’s one thing to hate on the guy or girl who, for whatever reason, picked up Matt Ryan in the third round, but even the best strategies are thwarted in the midst of a live draft. In an attempt to be completely honest with my viewers, I’ve listed the results of my most recent draft as well as an explanation of my picks and a few photos. Draft order was determined by picking numbers out of a hat. Last year’s Super Bowl winner drew the first number, the winner of the regular season went second… so on and so forth. I got lucky and selected the 3rd pick. The draft was conducted live and in my home without laptops. In fact, the only laptop permitted was used by the league’s commissioner who input all of the results directly into the Yahoo! database as a means of keeping track of everything. While team owners were allowed to bring cheat sheets, the wheels still managed to come off the wagon more than a few times (specifically in the 9th round when I made a play for Flacco only to discover he had been picked up in the 7th… and I thought I was getting the deal of the century). I’ve said it before and I’ll say it again, MJD is my favorite player in the league. He’s a huge talent with an amazing work ethic. His knee may be giving out, but I’m not giving up on No. 32 just yet. By the time the snake came back around to me, Andre Johnson, Randy Moss, Drew Brees, Aaron Rodgers, Reggie Wayne and Petyon Manning were off of the board. Not surprisingly then, I went after Megatron. I’m hoping things will open up for him now that Nate Burleson is also in Detroit. Assuming he can escape coverage and stay healthy, there’s no reason he can’t repeat (or even beat) his 2008 numbers. In the third round? I’ll take it! He may have very little common sense, but he also has a ton of talent. While I’m a bit concerned about the lure of the South Beach nightlife, I’m confident that Sparano and Parcells will make excellent babysitters. 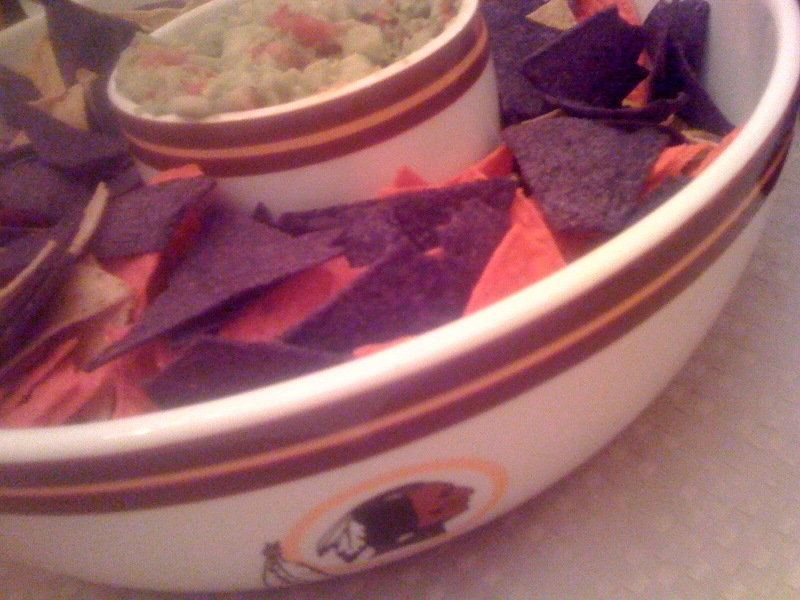 My league famous guacamole in someone else's chip bowl. Ben Tate may be out, but Arian Foster is very in. As the Texans featured back, I think there’s a good chance Foster will light it up this season. Between wanting to prove himself to Coach Kubiak and some very favorable match-ups, I expect him to start this season close to where he finished in ’09. With Lewis gone and Hardesty hurt, Harrison is the Browns’ last and only hope of a ground attack. Take into account Cleveland‘s receiving core and newly acquired QB and I think Harrison might be their only shot of an effective offense period. If for no other reason than the number of carries he’s likely to get, Harrison makes for a giddy-with-excitement-style flex option. Seeing as this league has a flex position that can be filled by either a RB, WR, or TE, there had been a run on the elite TEs early on. I figured if I couldn’t get Gates, Clark, or even Finley, I’d wait it out and see what happened. Feeling good about my previous 5 picks and anticipating a second run on tight ends, I decided to scoop up Witten while I still could. Both his talent and his chemistry with Romo are undeniable. Yes, he was an absolute bust last year, but with Dez Bryant there to draw coverage I’m betting he’ll get a few more TDs. By no means the most consistent receiver on the Giants‘ roster, he is their lone deep-ball threat. Depending on the match-up, I figured he’d make either a good flex play or bye week substitute. While I wish I had, instead, drafted Flacco at this point, I figured Nicks was a good value pick who could add some weight to my bench. 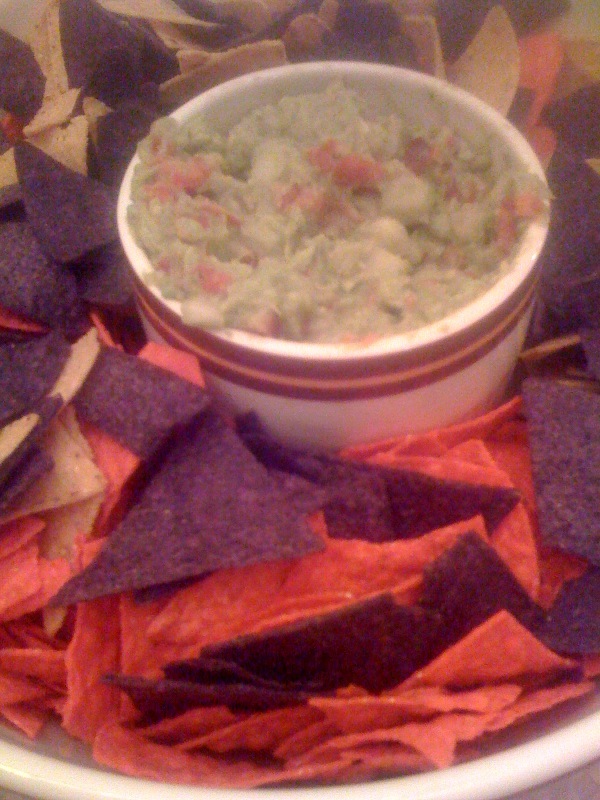 Guac Recipe: 4 Avocados, 2 Roma Tomatoes, Half of a white onion, 1 lime, 1 Handful of Cilantro, Chilli Flakes, Garlic Salt, Onion Powder, Salt, Pepper... all to taste! Yeah, Yeah, Yeah… go ahead and laugh. I admit that I fell victim to the BTwice hype that’s been going around since Sidney Rice announced his untimely hip surgery. I can’t help but think that if Favre had actually gone to training camp, rather than sitting around and whining about whether or not to retire, he and Berrian could have developed some rapport. After watching Thursday night’s game, however, it’s clear that Papa Favre’s trust in his receivers is limited at best. Granted, it’s still early in the season and there is a slight chance that these two can spark up a little love affair. 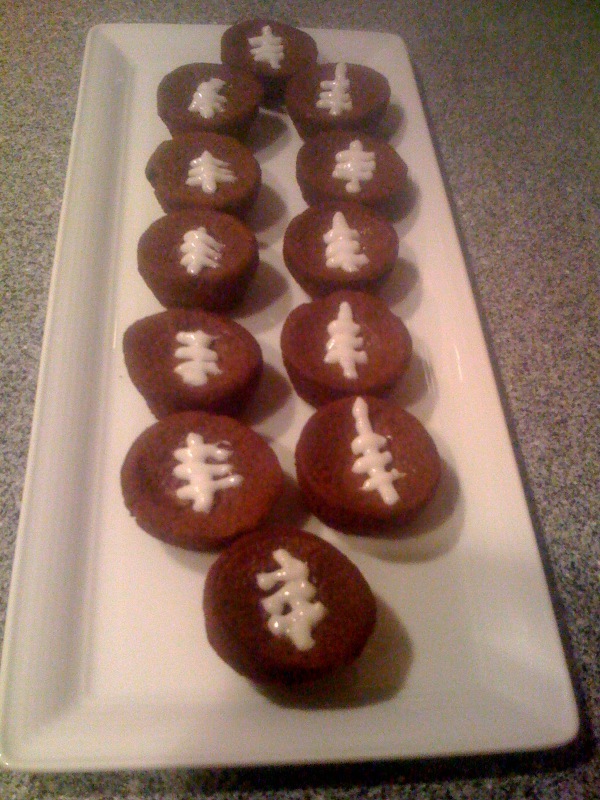 With any luck BB will morph back in to the totally average receiver he was with the Bears. So this was where I discovered that the “Big Al Haynesworths” had picked up Flacco with the 80th overall pick of the draft. The panic and flurry that ensued was too much and I blindly blurted out “Uhhh, uhhh, I guess, oh crap, I guess I’ll take Cutler.” It was a moment of temporary insanity. Still, I’m determined to stay positive… mostly since we’re only in week one. The match-up against the Lions is favorable and if I can do some maneuvering through the first five weeks of the season my team should be OK. Unfortunately, I can’t say the same for the Bears. 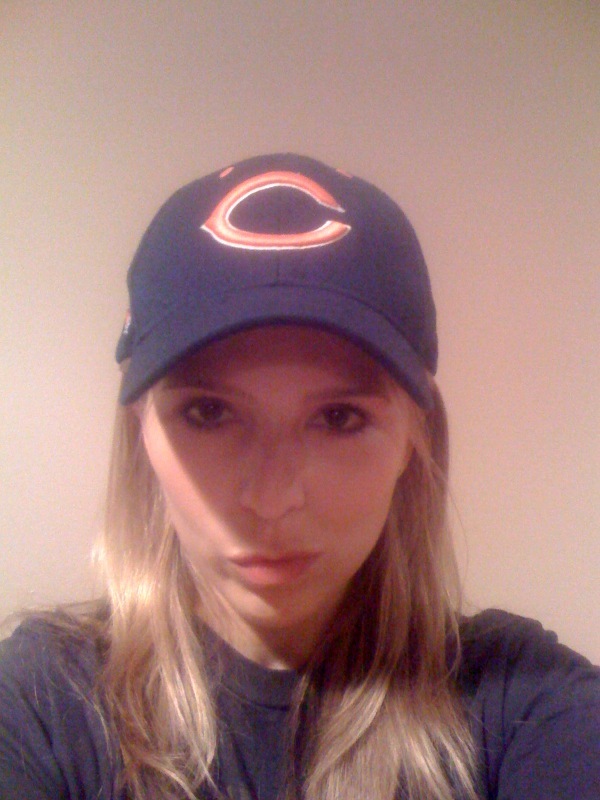 So, yeah, this is what happens after you draft Jay Cutler. Enough said. While I was at… why not draft another? This was not a passionate pick. I had determined at the start of the draft to wait on a DEF until the later rounds. At this point my options were, unsurprisingly, limited. Seeing as it’s a year full of changes and transitions for the Panthers, I was drawn to Carolina’s potential. If Beason can’t fill Peppers‘ shoes, then I’ll take on a drag and drop approach to maintaining my roster, choosing a DEF based on various match-ups. If Barber or Jones goes down, Choice suddenly becomes valuable. Given the DAL o-line and the tread on Barber’s tires, it’s not an impossibility. The Cowboys’ RB3 is by no means a starter right now, but that may very well change by week 17. I need a kicker. Robbie Gould plays for the Bears. I’m going to root for him in real life so why not on my fantasy team as well? I’ve been talking about this kid since May. If you read my blog regularly you know that I think he’s a fantastic sleeper option. In an attempt to not just talk the talk, but to also walk the walk, I’ve drafted him on all three of my fantasy teams.